Sydney Theatre Company reveals 2018 season focusing on Australian plays | Daily Review: Film, stage and music reviews, interviews and more. Sydney Theatre Company will have a distinctively local focus in 2018, with 11 of its 16 plays penned by Australian writers. On top of that, two of the other five are adaptations written by locals, arguably bringing the number up to 13 Australian-made plays. “For me, Australian writing is the key way of introducing new Australian voices and perspectives,” STC Artistic Director Kip Williams says. “And it’s the way we get to interrogate our history, ask who we are today, and imagine what we might be in the future. Next year marks Williams’ first full season at the head of the company, after he programmed part of the 2017 season in the wake of Jonathan Church’s unexpected departure. He was appointed permanent Artistic Director in November 2017 at just 30 years of age. 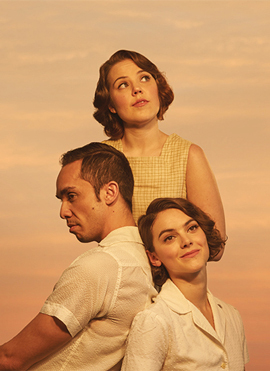 At the centre of the season is an epic, two-part adaptation of Ruth Park’s The Harp in the South trilogy, penned by Kate Mulvany and to be directed by Williams himself. The two plays feature 18 actors and will be performed in repertory throughout the week, and back-to-back on Wednesdays and Saturdays. The plays follow the Surry Hills-based Darcy family over several decades in the early 20th century, and will star Tony Cogin, Anita Hegh, Tara Morice, Rose Riley, Guy Simon, Helen Thomson and Contessa Treffone. There are several other big names in the season, with Hugo Weaving returning to the company to star in Bertolt Brecht’s 1941 play The Resistible Rise of Arturo Ui, directed by Williams. The play will be adapted by Tom Wright and is an allegory for the rise of Hitler in Nazi Germany. 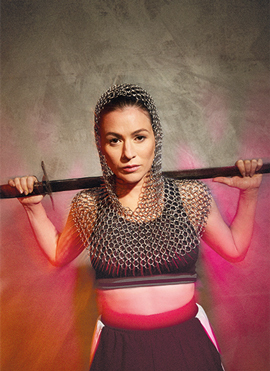 Orange is the New Black star Yael Stone will also return to the company for George Bernard Shaw’s Saint Joan, starring as Joan of Arc in an otherwise all-male cast, directed by Imara Savage. Comedy legend Jane Turner will perform alongside Amber McMahon in Dario Fo’s 1970 farce Accidental Death of an Anarchist, and Pamela Rabe and Sarah Peirse will unite for British writer Lucy Kirkwood’s The Children. 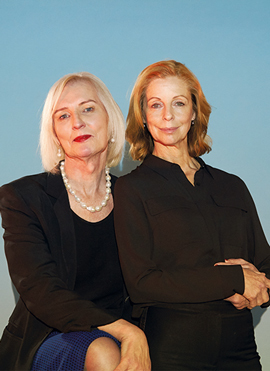 Heather Mitchell will play the intriguing Catherine McGregor in a new play about the public figure’s battle with her gender identity called Still Point Turning. The play, by Priscilla Jackman, is based on extensive interviews with McGregor and is largely told in her own words. The company will also reach gender parity for the first time in its director roles, and features more women writers than men. Eight productions are directed by women and eight by men, while nine of the plays are written by women, six are by men, and one is an adaptation by a woman and a man. STC’s Resident Director Imara Savage will direct her first work in the Roslyn Packer Theatre with Saint Joan, while writer Nakkiah Lui and director Paige Rattray will both make their Roslyn Packer Theatre debuts with a return season of the 2017 hit Black is the New White. While the company was initially expecting to vacate its home at the Wharf for significant renovations from the start of 2018, that work has since been postponed for approximately six months. It means that the company will still be performing in its Wharf 1 and Wharf 2 theatres for the first half of 2018. Williams says 2019 is the year that will require the most innovative thinking in terms of venue management.